Support for the Konica Minolta FD-5BT and FD-7 spectrodensitometers within EasyMedia, the popular RIP module for color calibration and profile creation, is announced today by Caldera. 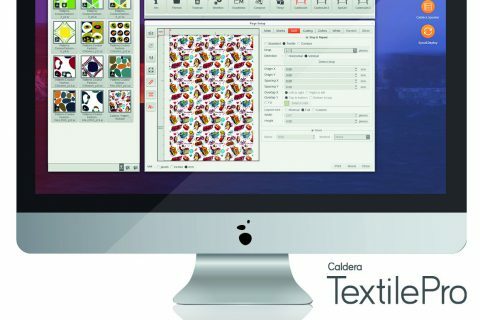 In a move aiming to boost the ability for larger print houses to initiate high-quality color profiling across devices, Caldera has extended its relationship with the popular equipment manufacturer while furthering its mission to encourage printers of all sizes to adopt repeatability and robustness in their color management processes. The benefits of being able to match colors with a high degree of accuracy are self-evident: fewer reprints are required and brand colors can be hit more easily as color standards like G7, Fogra, ISO 12647-2 or -7 become achievable. This is particularly crucial for printers using a multi-process production environment, as well as those supplying retail and blue-chip clients. Furthermore, consistency between print devices can be guaranteed, which is critical for users of multiple machines and print clusters. Spectrophotometers are used to read and evaluate colors so that brand owners, designers and manufacturers can communicate accurate color shades throughout the design and production process. Absolute accuracy in color control is critical for consistency across different media and along different steps of production. By getting the exact color right from the start, expensive wastage in inks and media can be eliminated, and time and money are saved. EasyMedia is Caldera’s step-by-step color calibration wizard and ICC profile creator for print shops of all sizes. It allows users to fine-tune their color management for optimum stability and consistency across their output, especially now that it has incorporated support for the Konica Minolta FD-5BT and FD-7 spectrodensitometers. These particular spectrophotometers measure not only color but also density and illumination, and can standardize color adjustments even on substrates with fluorescent whitening agents – crucial for customers insistent on maintaining brand colors between indoor, outdoor and other lighting environments. “The ultimate automated chartreader Konica Minolta Autoscan Spectrophotometer FD-9 is supported via file import. Dedicated test charts are incorporated into EasyMedia. The measurements are performed easily using Konica Minolta’s FD-s2w which exports the data for EasyMedia. Thus Caldera users can benefit from improved speed, flexibility and accuracy.” says Claas Bickeböller, Product Manager Graphic Arts Konica Minolta. The latest version of EasyMedia is available now through all Caldera resellers.